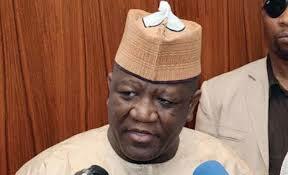 The Independent National Electoral Commission has said the All Progressives Congress in Zamfara State is ineligible to field candidates for any elective office in the 2019 general elections, for failing to meet up with the deadline for submission of candidates. The INEC stated this in a leaked memo signed by the commission’s acting Secretary, Okechukwu Ndeche, to the APC National Chairman, Adams Oshiomhole, noting that the APC failed to conduct primaries for elective offices and would therefore not field candidates for the governorship and legislative elections. The memo is titled “Failure to conduct party primaries in Zamfara State within the stipulated time frame” and it partly read, “You would note from the timetable that the conduct of the party primaries is scheduled to take place between 18th August and 7th October 2018. “However, report received from our office in Zamfara State shows that no primaries were conducted by your party in the state, notwithstanding that our officials were fully mobilised and deployed.